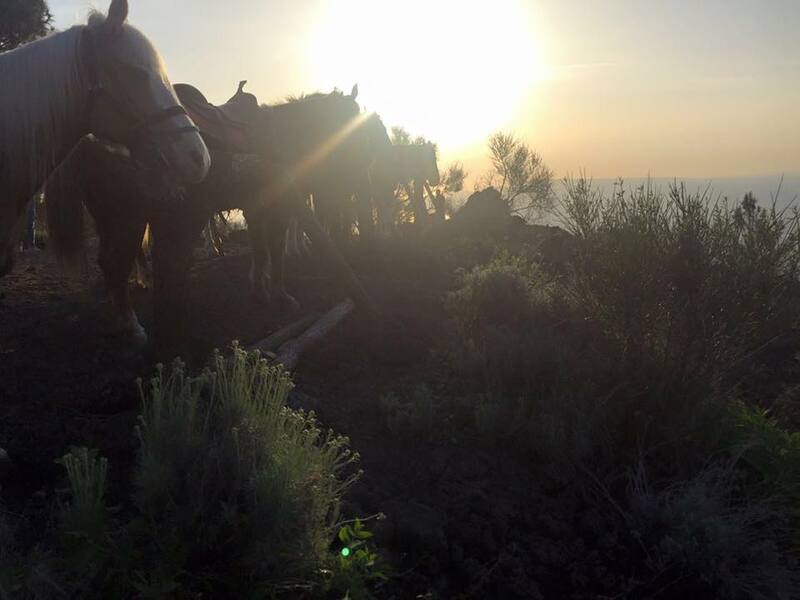 My dream of going on a horse riding tour in Italy finally came true one weekend a few weeks back when we booked a sunset tour from the Vesuvius horseback riding tours. Our tour guide, Roberto, was kind enough to meet us at Naples airport (which was close to the stables and easier for us to find than the stables themselves). We then followed his car to the stables, located at the base of the famous volcano, also known as the symbol of the city. I have been a true horse girl since I was little, but the intense amount of homework at college forced me to drop my beloved hobby around at the age of 18. Perhaps I also slightly came to the realisation that the Finnish climate is simply not made for the hobby – my many toes and fingers that have suffered permanent damage from deep freezing speak for themselves (sometimes stable girls are given little tasks such as carrying buckets of water to horses outdoors at -32°C, because obviously the water pipes have been frozen overnight and horses happen to drink up to 70 litres of water per day). Therefore, the idea of horse riding in Italy sounded like more than idyllic to me, and I was dying to try it out in Naples. Our tour group consisted of a colourful bunch of around 10 people, including adults, children, Americans, Italians, plenty of first timers and a few tour leaders. We chatted and drank coffee while the horses were prepared for us. Once they were ready, each of us was handed a horse and told to get on, very straightforward Neapolitan style of course, without giving too many instructions even to the first timers. All of a sudden, we were on the move, one horse at a time exiting the stable yard to the road. “What do I do? !” yelled my boyfriend, whose horse did not show any intention to move, and one of the leaders gave him some instructions in Italian. I generally like the Neapolitan spirit where people don’t make a fuss of just about anything (apart from food of course), but this time I really felt for a couple of first timers who were probably touching the 500 kg animal for the first time in their lives and were simply told to hop on and hold on, while no one was going to walk them or give any riding 101. If I hadn’t had 10 years of riding schools and horse renting behind me, I would have freaked out as well. However, the instructors were extremely nice and you could ask for help at any time. And as it turned out, no one really needed any help and everyone was able to handle their horses just fine throughout the 2 hour journey. Well done guys! I hadn’t been on a horseback for a long while and was excited as a little kid. The tour really fulfilled all my expectations. The horses first took us through a jungle-like deciduous forest, a beautiful nature reserve where vines had taken over the ground and birds were chirping all around us. The highlight of the journey was the moment we reached a place quite high atop the volcano, where we could sit and stare at the stunning view of the Gulf of Naples while the sun was setting. It was a shame the weather was a bit cloudy, but we couldn’t complain – the day was one of the warmest this spring, and even at sunset, the temperature was as high as 22°C! My advice is to take a small backpack with you (one that sits tight against your back) and carry not only your phone or camera in it but also a water bottle, because you might find yourself thirsty once you get up there and take a break (let’s not forget that riding is a sport, after all)! For clothes, I’d recommend to put on ones that you don’t mind getting little dirty (which they probably won’t, but just in case). Running tights or very comfortable jeans should do if you don’t have breeches – there is no need to be too worried about this given it’s a western saddle you will be sitting in and it is virtually impossible to find it slippery, so trousers don’t necessarily need to provide that extra grip like regular breeches do. The most important thing, however, would be to wear boots with a small heel, 2-3 cm, to prevent your foot from going through the stirrup in case you lose your balance really badly (which I cannot see happening during this tour, though). Wellington boots should do the trick. However, let’s not forget that we are in Naples and these kinds of things are mere suggestions – we did the tour in Nikes (and not to mention, without helmets) and it was perfectly okay. The riding tour was probably one of the best experiences I’ve had in Naples and would recommend it to anyone, young or old, big or small, beginner or not. On the way back to the stables, one of the instructors invited me to go galloping her, given I was the only one with some experience. We left the rest of the group behind and trotted off to some fields. I had so much fun! We went around a few times, faster and faster, again and again. Unlike back in my stable days, my muscles are no longer made of steel, and the next day I could really feel the aftermath of the galloping experience in my feet, calves, thighs, bum, and in some abdominal muscles I never knew existed. My boyfriend’s riding experience hadn’t been as sporty as mine so it took him two days until he started to complain about the pain in his legs and abs. When we finally returned to the stables, it was already dark. We were offered some well-deserved wine while chatting over the experience with others, watching the horses being unsaddled and city of Naples twinkling in the horizon. Sunset riding tours are 60€ per person.